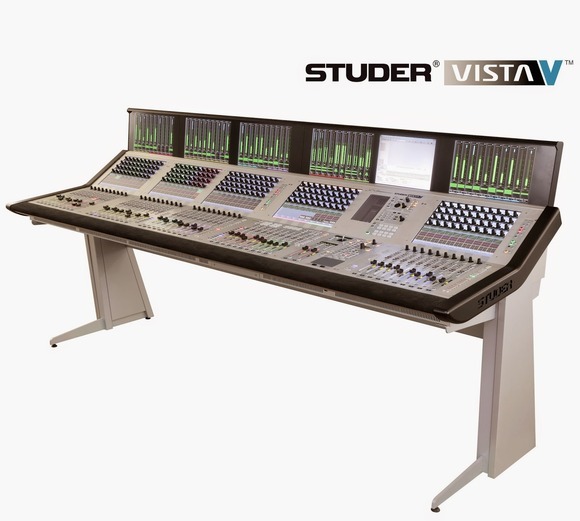 AMSTERDAM, The Netherlands – At IBC 2014, HARMAN’s Studer is introducing the version 5.2 software upgrade to its Vista X, Vista V, Vista 1 and Vista 5 M3 digital consoles. This new software provides Vista operators with even greater versatility and ease of use, creating a more efficient mixing experience. New to the 5.2 software are: the ability to assign Strip Setups as CUE events; support of the Soundcraft Realtime Rack (UAD plug-ins); support of Lexicon PCM96 Surround reverbs with Infinity Core; Input Gain unfold for multi-format channels; Spill Zone for contributing channels; GUI enhancements and new patch groups; A-Line embedded Ethernet; and contribution PAN in stereo channels to mono Aux busses.